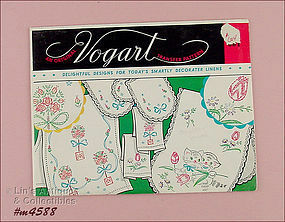 This listing has an unused Vogart vintage transfer pattern, Number 604! It is flowers and cute kittens. Nice! 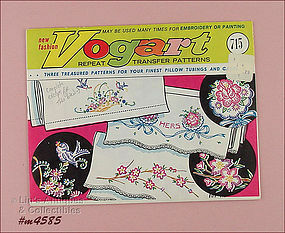 Another unused Vogart pattern sheet! This one is Number 695 and is titled “Dainty Motifs”. 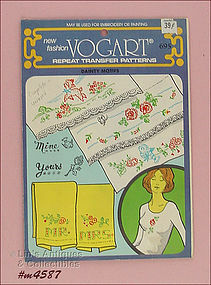 This listing has Vogart repeat transfer pattern Number 128. 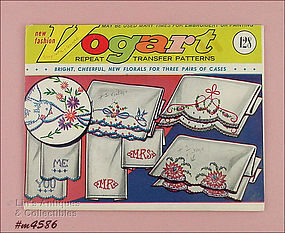 The Vogart sheet has not been used. Prior owner added a couple extras/repeats but these are on the more thin pattern paper. The extras are 2 of the birds with bow and 2 of the orchids (I noted that in pencil on the envelope). These extras are also from pattern Number 128, just different printing dates. Gosh – looking at the many items I’ve collected over the years with intentions of using/making beautiful handcrafted items, well I must have thought I would live forever! 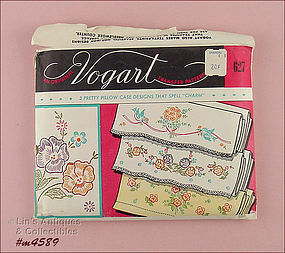 Sorting through my sewing basket the other day, I found oodles of vintage transfer patterns – all purchased at estate sales many years ago when I thought I would collect transfers and one day become very creative. 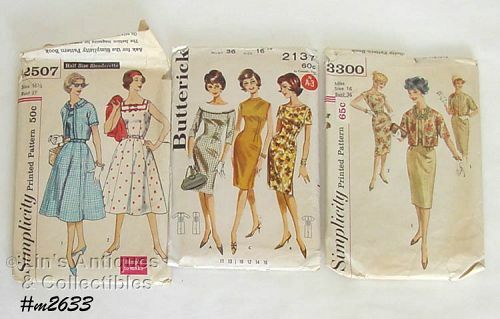 I’ve grouped these vintage patterns into one listing! The sticky notes you see on the pattern envelopes are my notes made when I looked at the patterns – I didn’t want to forget between the time I looked at them and actually wrote the item description! Neat “How-to” books! 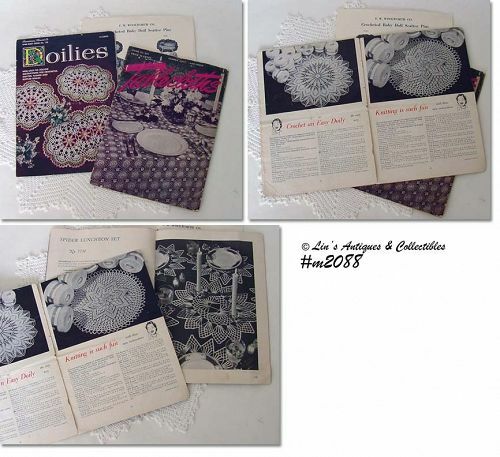 The doily book is dated 1956 from American Thread Company and is Star Doily Book No. 128. The tablecloth book has a 1947 copyright date, First Edition by Clark’s J & P Coats. 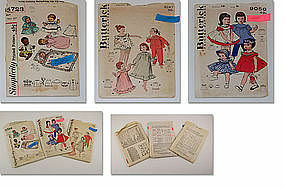 And, as a bonus, there’s an instruction sheet for “Crocheted Baby Doll Scatter Pins” by F. W. Woolworth Co.